People celebrate at Times Square while others celebrate at clubs. Insomniac Events, on the other hand, do things a little bit differently. 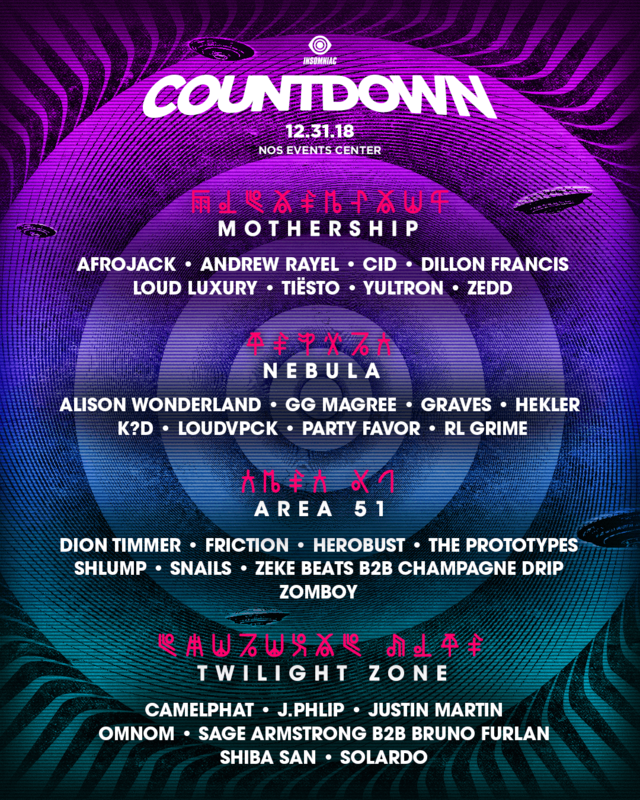 In its 5th year of existence, Countdown 2018 is shaping up to be one epic event. EDM juggernauts like Afrojack, Tiësto, Zedd, Alison Wonderland, and RL Grime are just a few of the many DJs performing at the event. This year we’re getting four brand new stages with a completely new interstellar theme. As always, there are some hidden surprises throughout the festival that you’re going to want to find. As you can see, Mothership will be the main stage as Afrojack, Andrew Rayel, CID, Dillon Francis, Loud Luxury, Tiësto, Yultron, and Zedd are all performing at the Mothership stage. At the same time, Area 51 looks to have its own set of heavy-hitters as the secondary main stage. 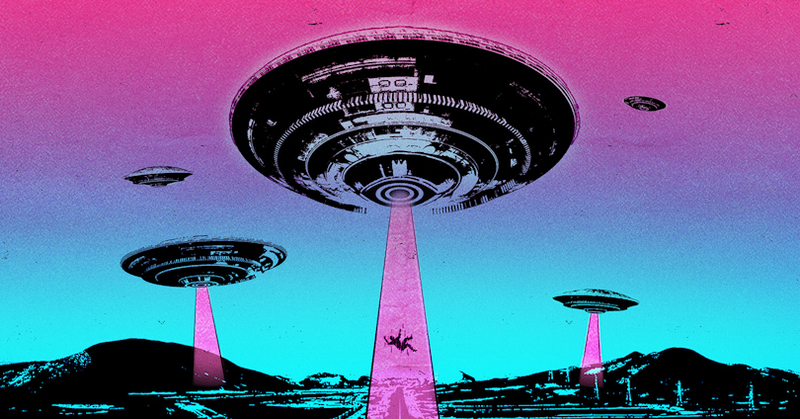 Alison Wonderland, GG Magree, Graves, Hekler, k?d, Loudvpck, Party Favor, and RL Grime are all performing at Area 51. Bass heads will want to head to Area 51 this year as the stage will be officially sponsored by Bassrush. Lastly, those looking for something different can head on over to Twilight Zone. Currently, general admission tickets are going for $133.99 including service fees. I, VIP tickets are being sold for $231.99 including service fees. Obviously, this is an 18+ event so all you Headliners will need to show proper identification to enter the festival. Countdown 2018 will take place on Monday, December 31st at the NOS Events Center in San Bernadino, CA. The post Celebrate the end of the year with Insomniac’s Countdown 2018 appeared first on Nerd Reactor.